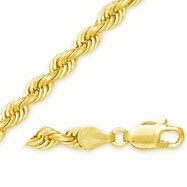 14K Yellow Gold is fashioned into classic rope style bracelet. Piece is solid with polished finish and features lobster clasp. Bracelet is also diamond-cut to enhance rope design. 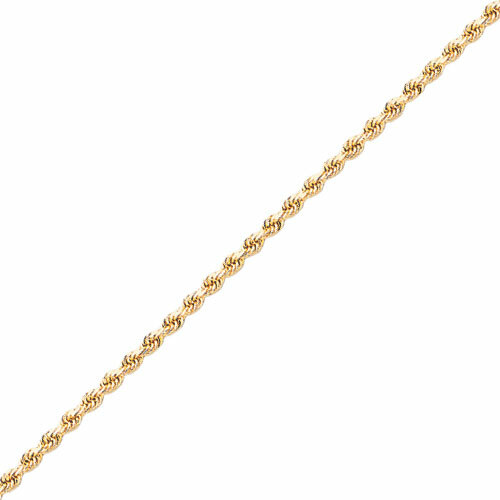 Matching chain available. Metal: 14K YELLOW GOLD Weight: 13.8 gram Width: 5.0mm Length: 7"